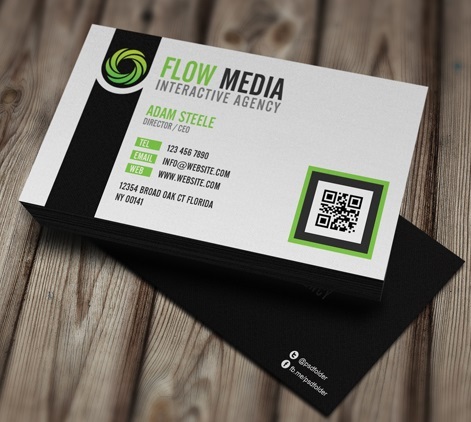 Business cards are a very important tool in today’s world. 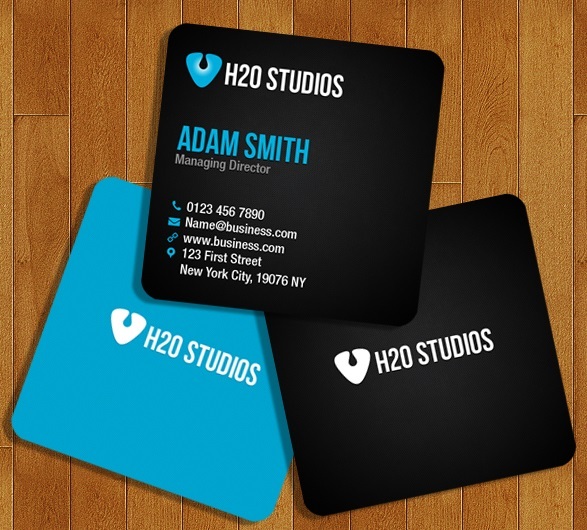 These cards play a dual role in letting the people know about your business and at the same time speaks volume about your style . So choosing a right design is very important. A great style should be elegant and stylish. 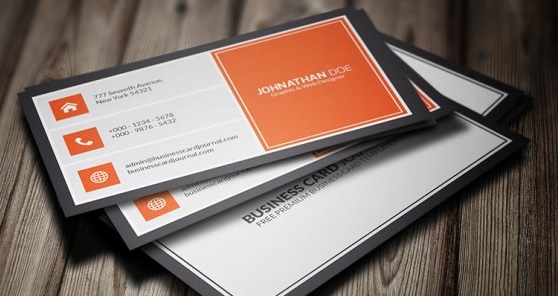 We have shortlisted a list of 40+ Best Free Photoshop Business Card Templates. 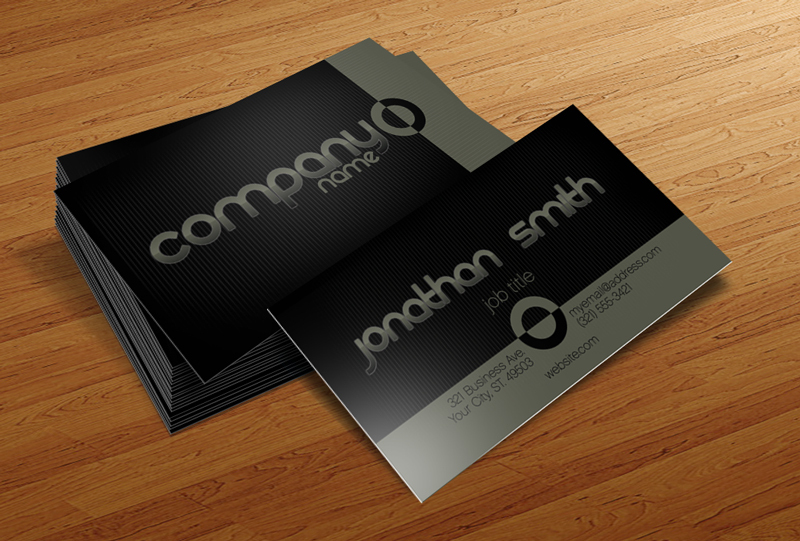 These PSD templates are easily editable. 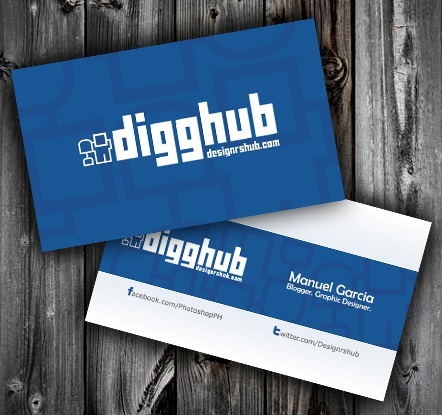 This card was designed by Carlos Viloria and it’s a very attractive business card template with a retro style. It has the perfect balance between elegance and creativity with a modern twist. 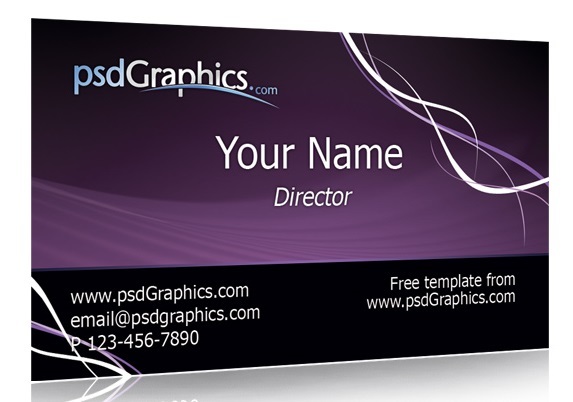 The files are provided as two separate PSD files and can be used for both personal and commercial uses. 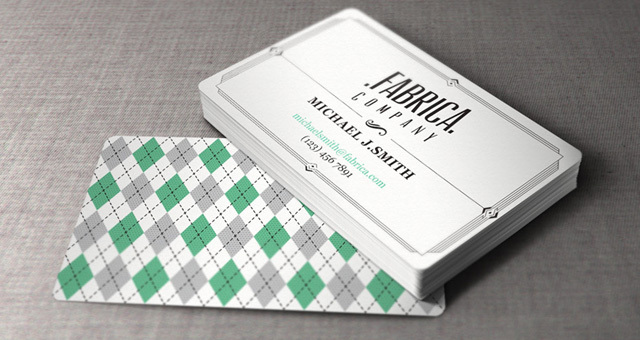 An exquisite design, featuring zigzag pattern as the main focal point of this creative business card template. 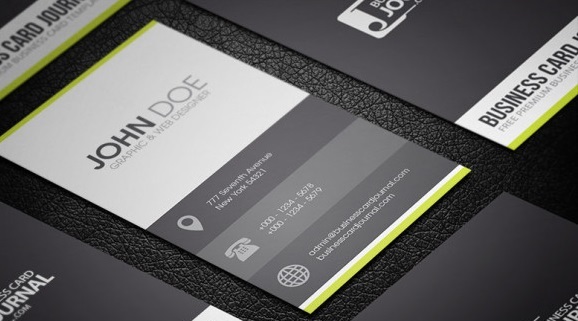 The combination of black, white and a touch of bright yellow truly brings out the best of this design. And as always, please share this template with your friends. We need this to keep us going. Enjoy folks! 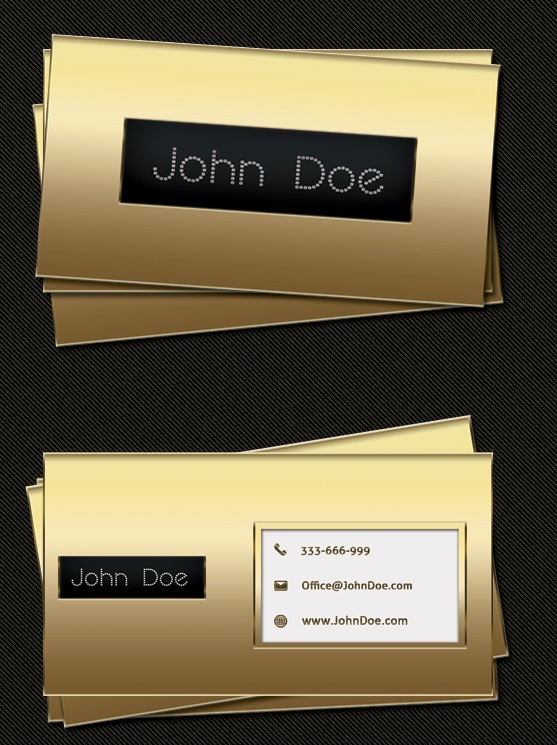 Business card Photoshop template with a nice grunge texture in the background. Background color is available in brown, purple and green colors, to change the color turn on/off the hue/saturation layer in the layers palette in Photoshop. Before editing text, install (missing) font. The font used in template is called Vegur, it’s also included in zip package. Clean yet elegant combination of white and grey. 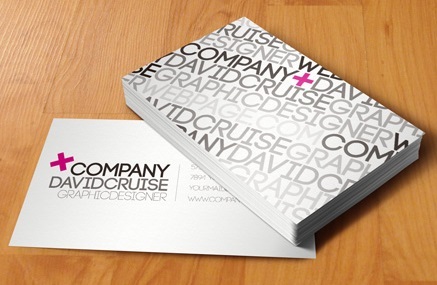 Great clean crispy business card. Simple yet creative play of colorful lines. 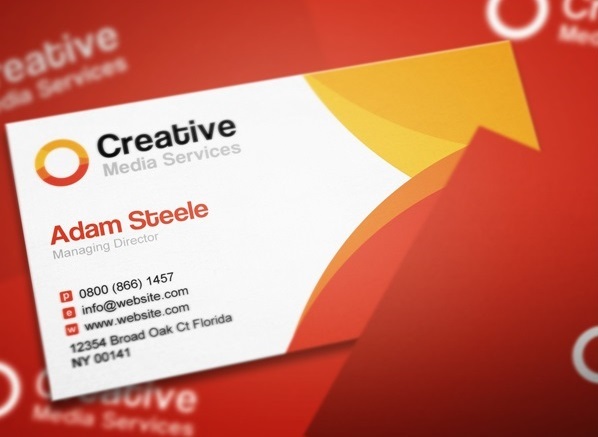 Highlights your creative personality. 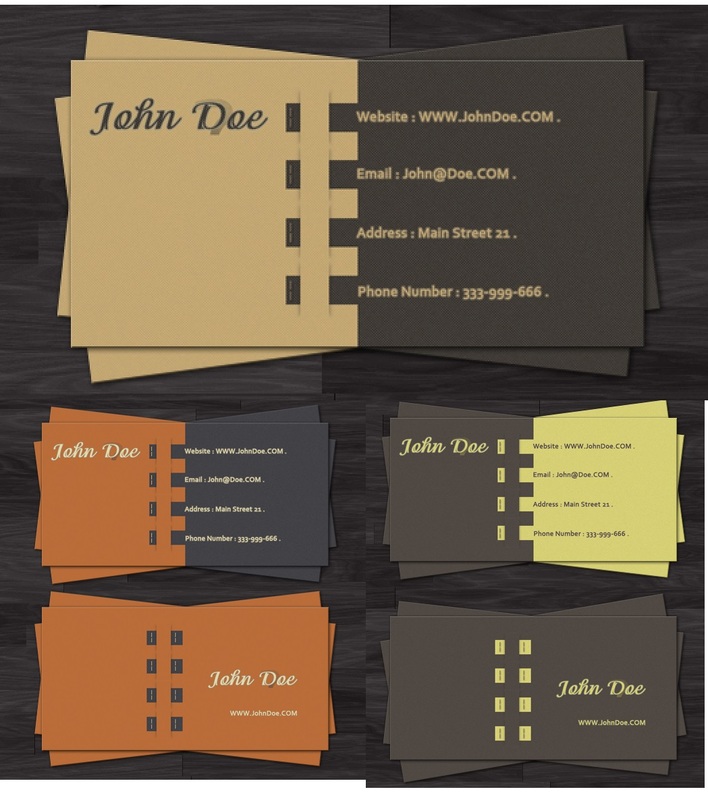 This simple and creative business card is easy to editable and fully layered. 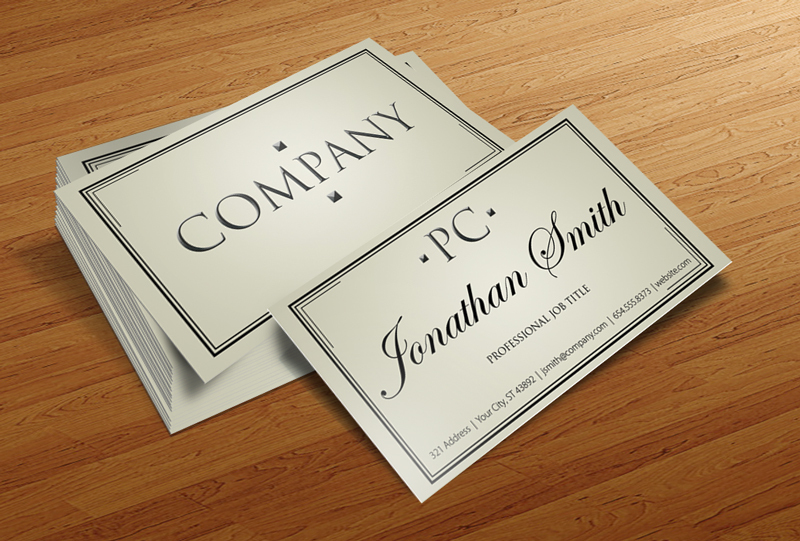 This is an elegant business card template specially related to consulting. The design is simple and classic and you can change the colors easily. 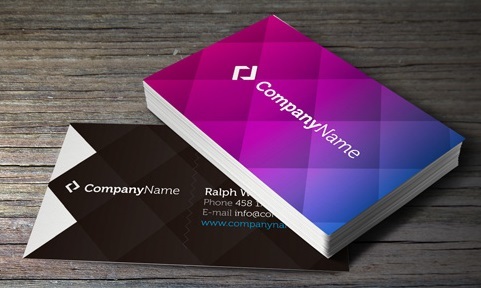 Replace the logo with your own logo and change the colors and use it for your company. 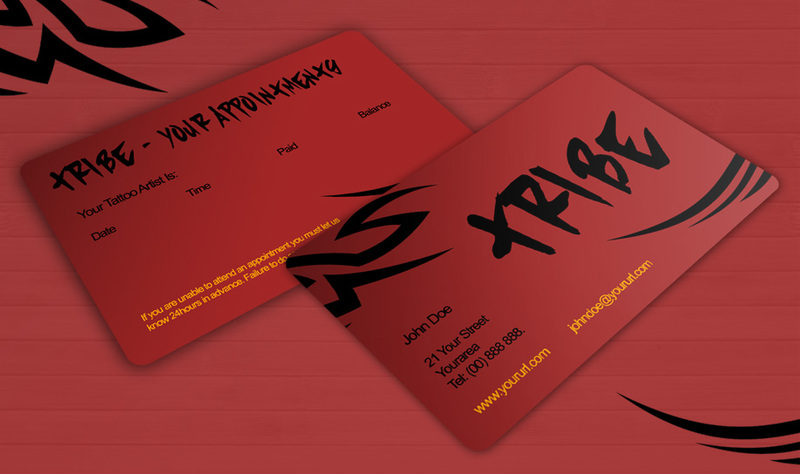 This is a free business card template aimed at tattooists and grunge-lovers. 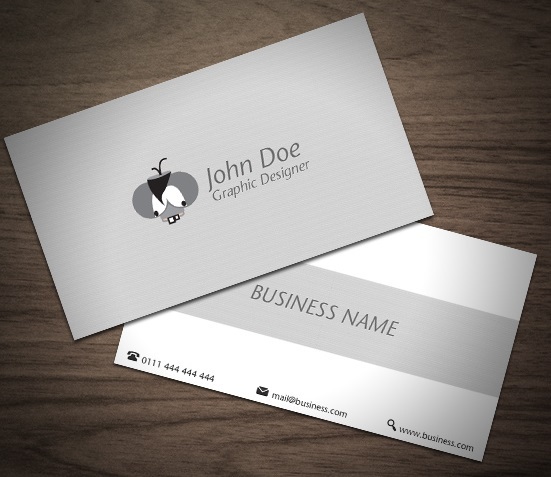 A unique minimalist and classic corporate business card template. 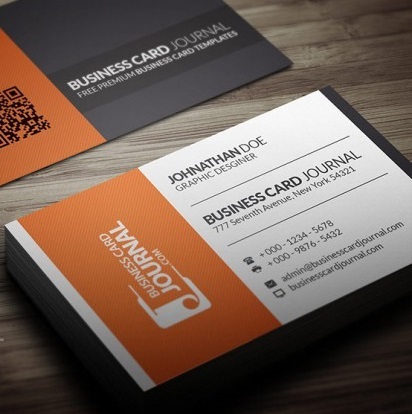 Any company can use this business card, just swap your logo in, put the information details and you are set to make history. 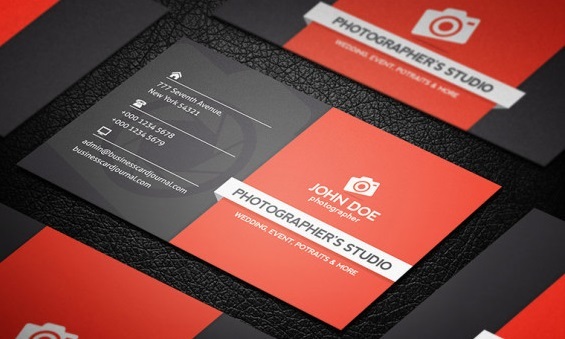 A great card for those in photography or product design. 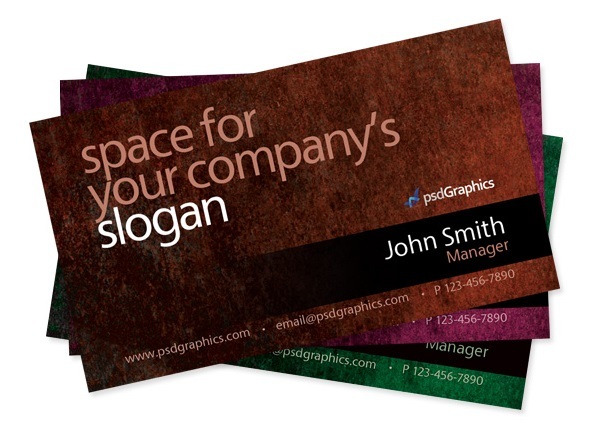 This will showcase your work along fulfilling the need of regular business card. Bloqs was inspired by Windows 8 UI. Change the color of each blocks and position them any way you want. 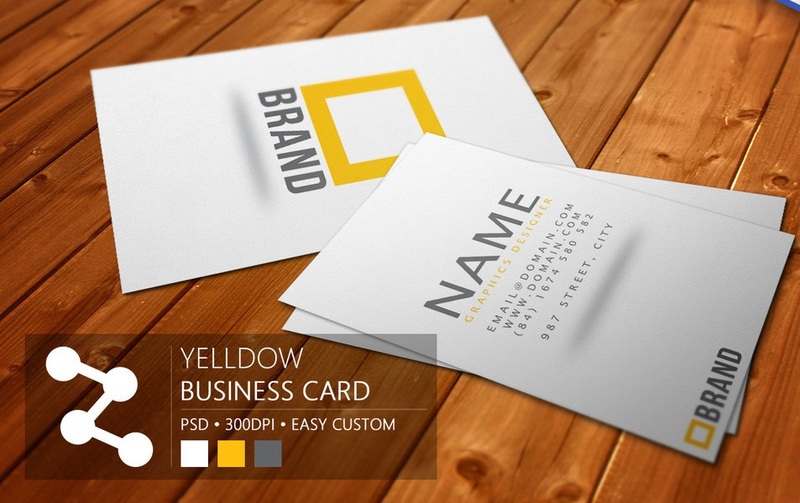 Creative business card PSD template designed in 11 color schemes. 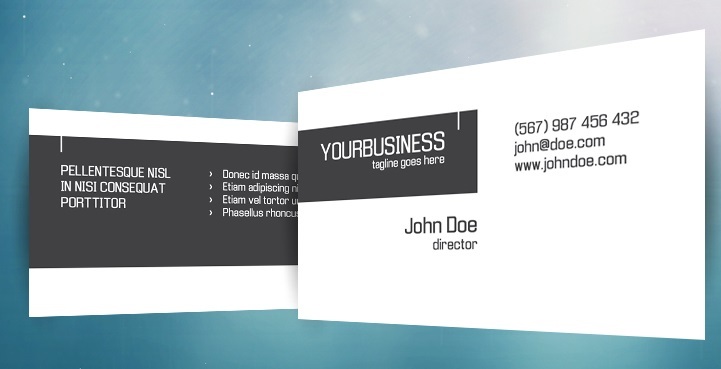 We’ve included both front and back sides of our business card. Download for free! 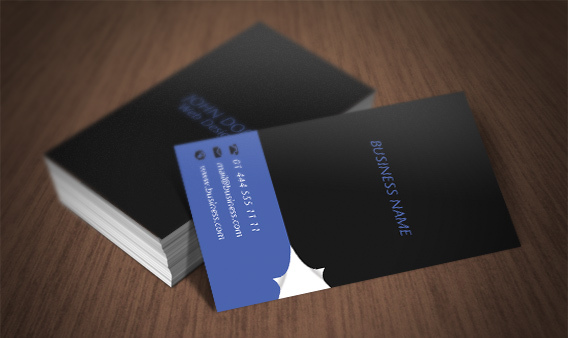 Creative business card PSD template featuring abstract, creative look and feel. 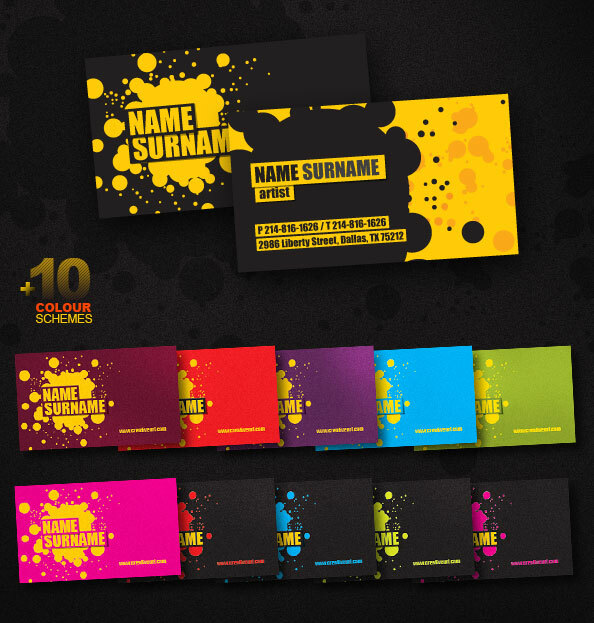 There are 10 different color variations that will help you to customize it with ease. 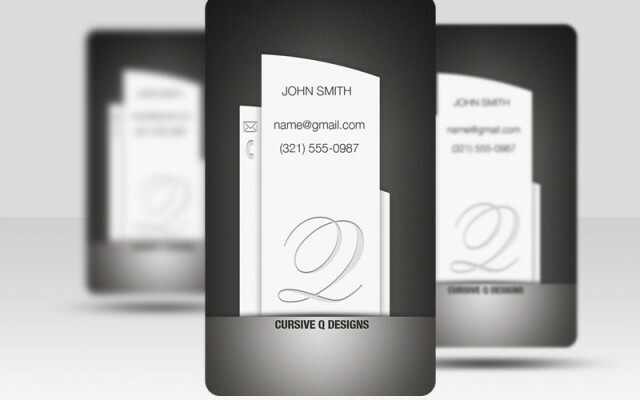 The business card template accommodates any type of individuals, especially graphic artists and web designers. All layers are separated and can be edited in a few clicks. 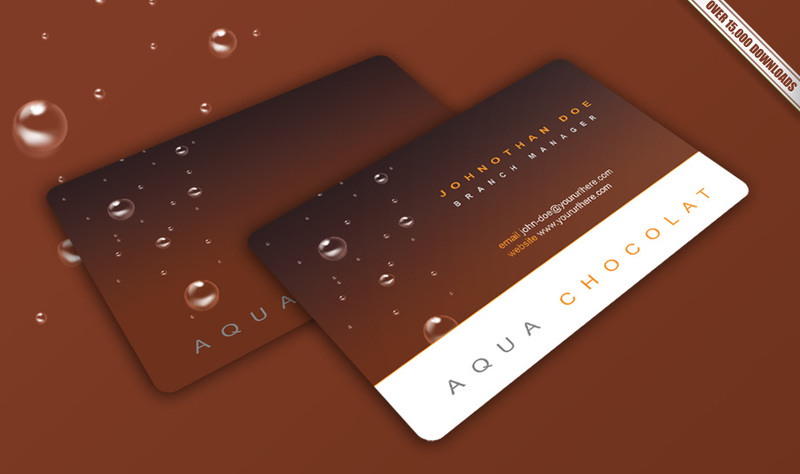 Elegant with a touch of luxury is depicted by this gold business card. Clean And Adorable Design. Comes in 3 different styles. 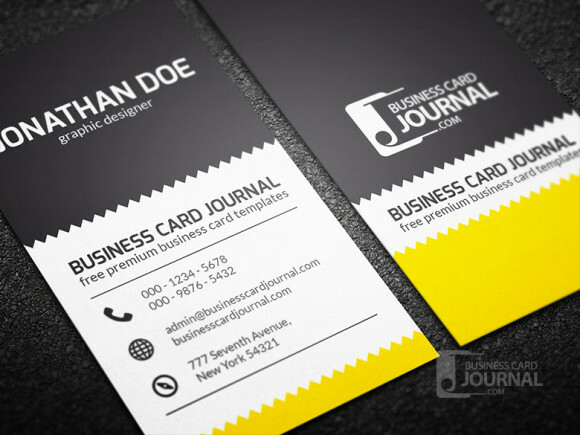 Creative business card design for your stationery and office supplies business. 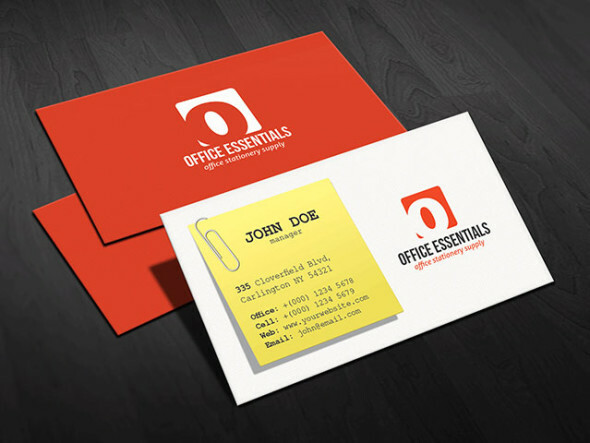 Design features a post it or sticky note which looks absolutely modern and unique. 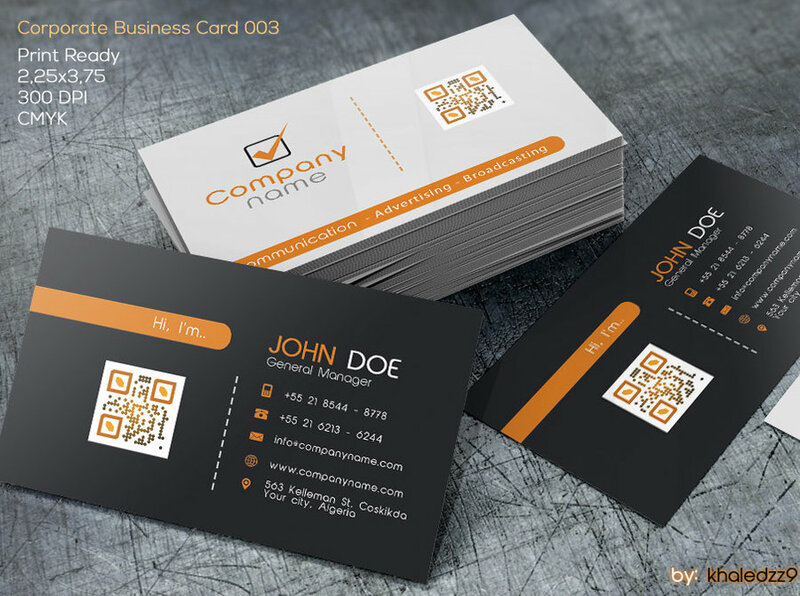 Creative and modern computer business card design. Great for those who provides services especially of computers. 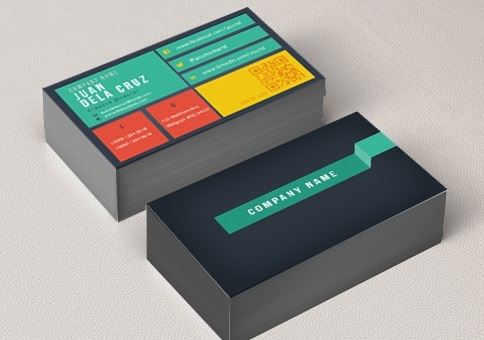 This corporate style business card template is great for both professionals and those who prefer clean and straight forward design. 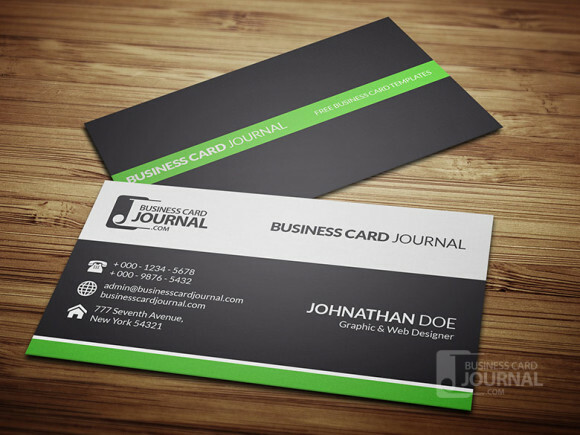 The color theme is green and can be easily changed to suit your need. 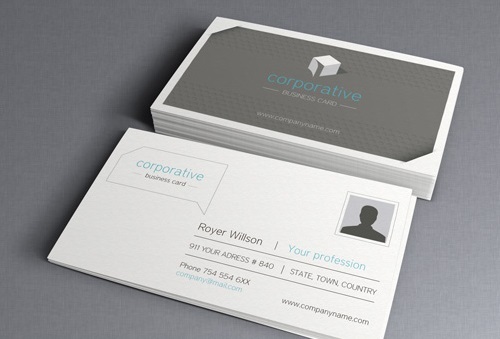 A corporate business card template that is both professional and stylish. Although it’s designed in black and white, the color can be easily edited via vector shape layers. 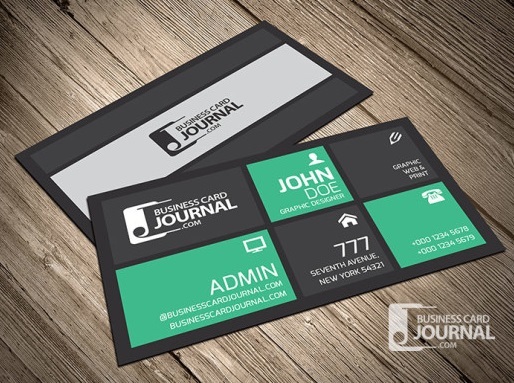 This is a fully editable template so feel free to move objects around to achieve your desired layout. 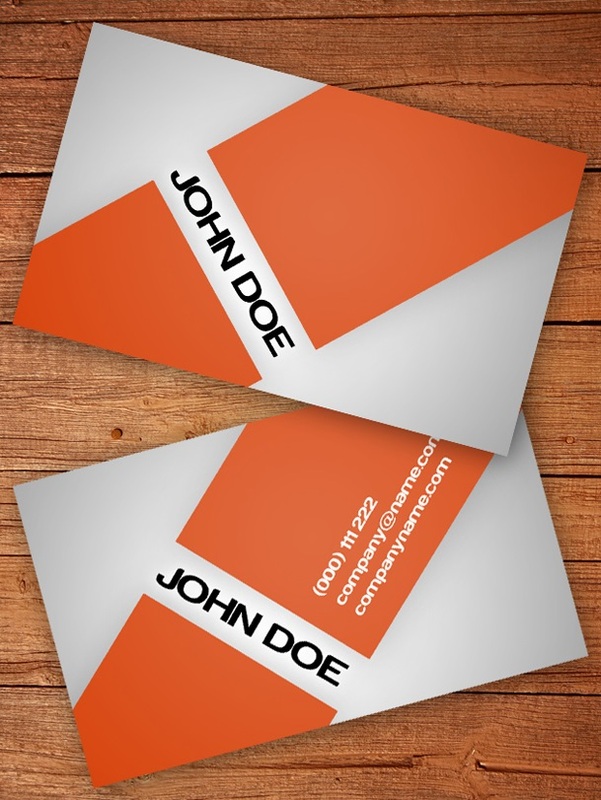 A brilliant orange business card that speaks to your profession, this cool orange business card template are 100% customizable. Just put your name and it is ready to print. Metro designs are hot these days. 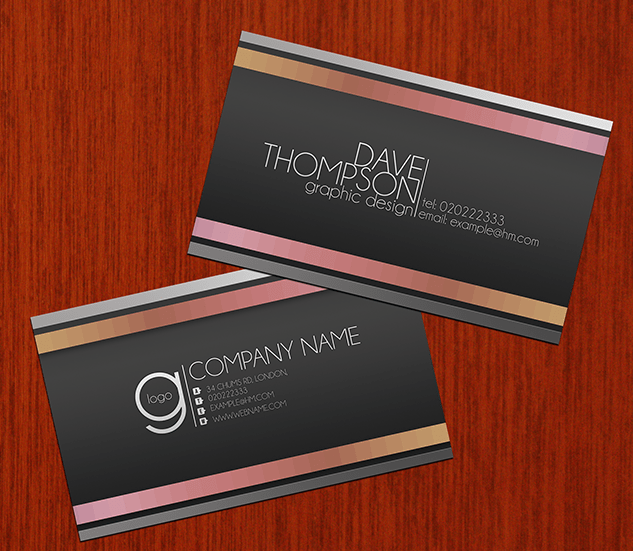 So we’ve came up with another metro style business card. 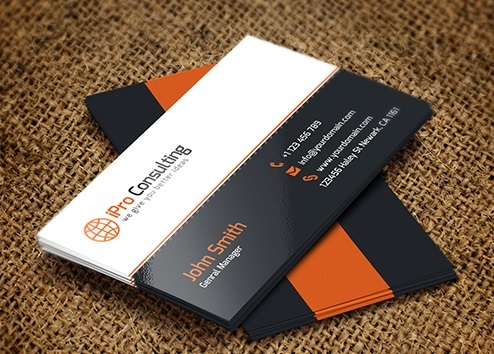 A modern simplistic design with clean and uncluttered layout. Are the colors right for you? 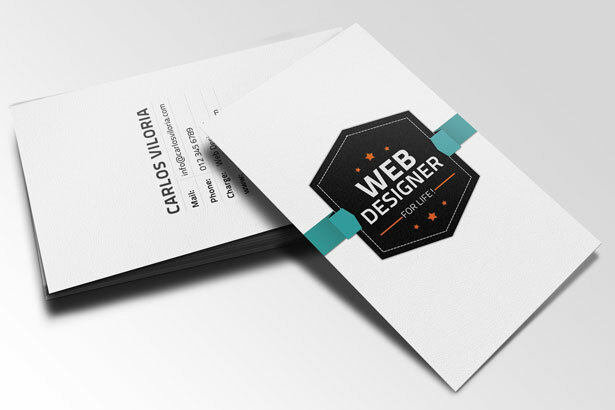 Don’t worry, our templates are fully customizable. Enjoy! 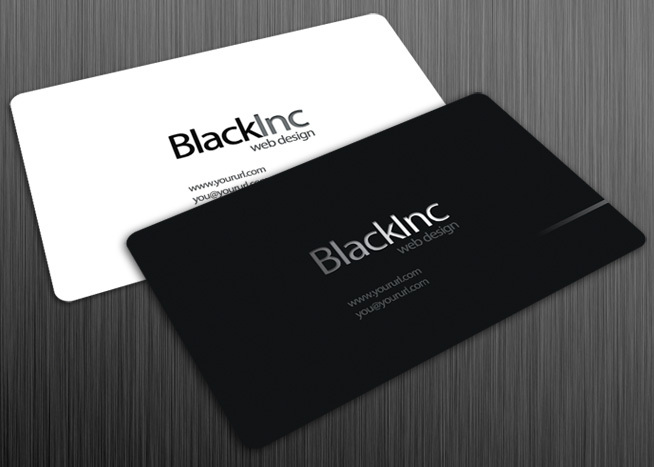 A modern creative business card template that comes in black and white style. 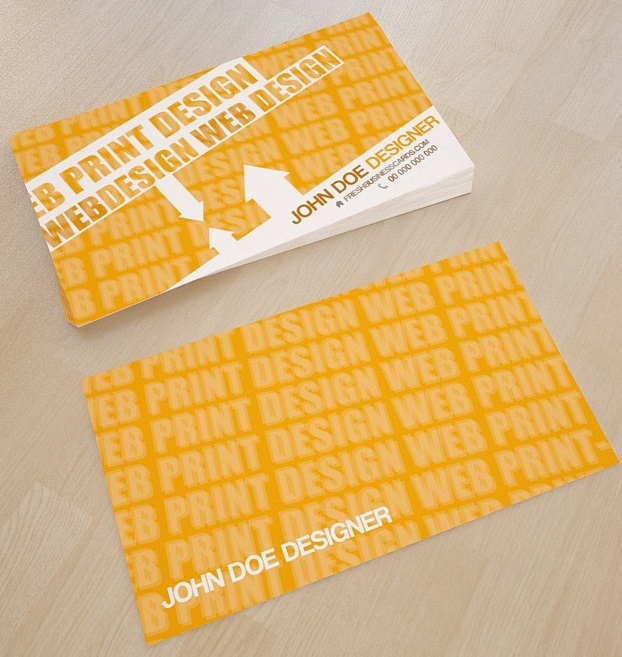 Ideal for a design agency or your freelance project. Font used is free for commercial use. 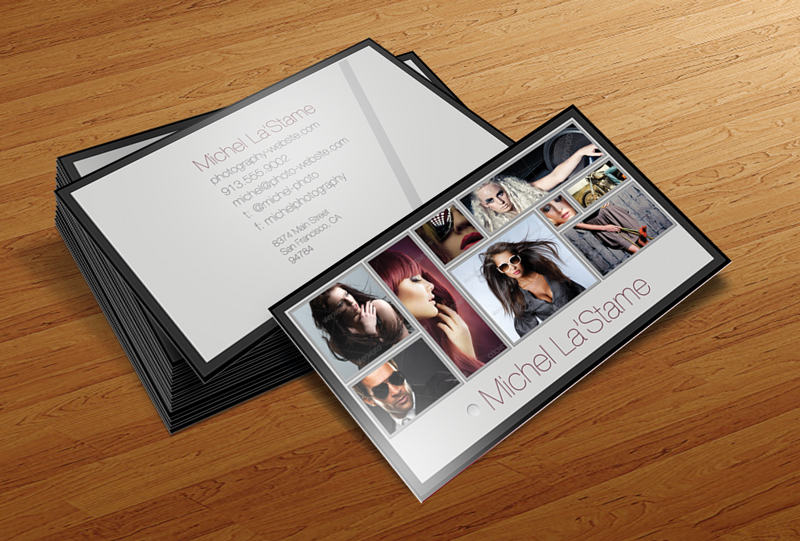 This professional looking business card template is excellent for photography studio or photographer. 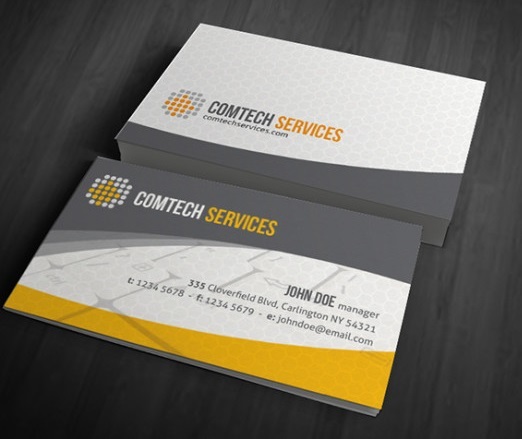 Featuring clean and creative design with a simple matching logo which you can use for your company logo. Template is fully editable hence the appearance, mainly color and text, can be change to suit your need. 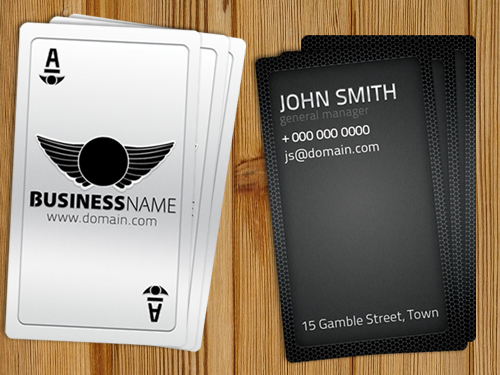 Interesting concept of playing cards as business cards. Be an Ace by carrying this card. 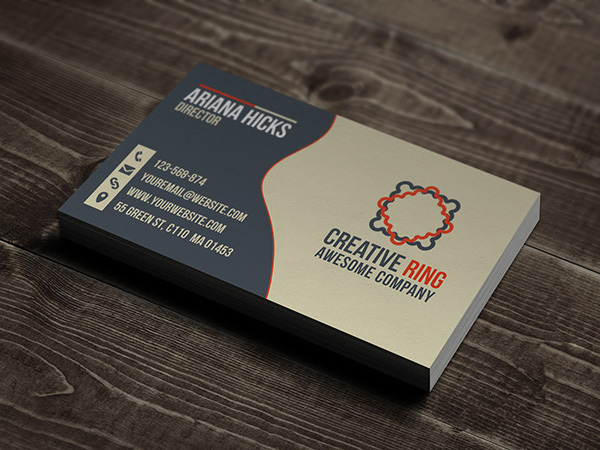 This is a really cute 2″X 2″ smart mini business card. 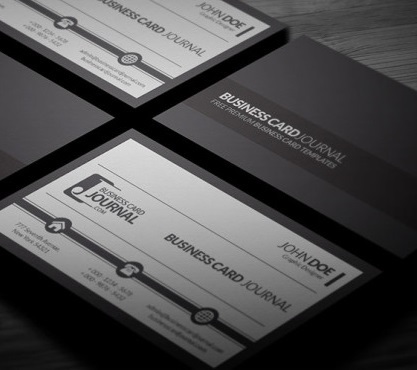 This dark and stylish metro business card template is great for those creative minded alike. 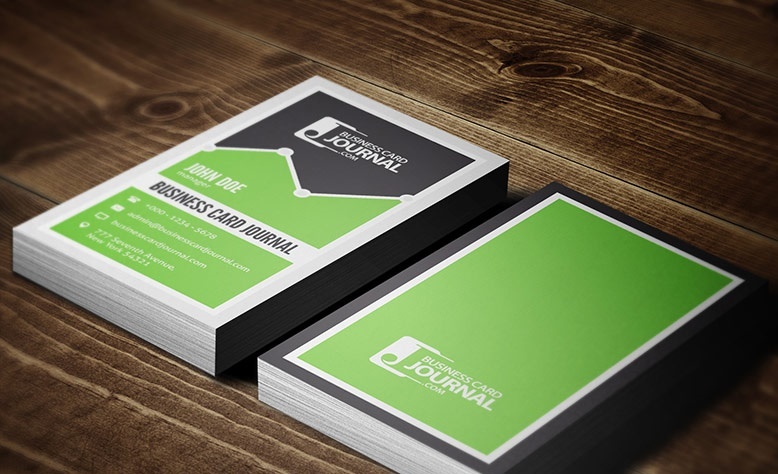 Although this design comes ready in dark grey and green, it can be changed to your desired colors easily as this is a fully editable template.